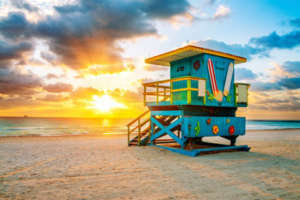 Home of pristine white sand beaches, turquoise water, and art-deco, Miami is the only major United States city that was conceived by a woman, Julia Tuttle. Miami has become a leader in finance and commerce, culture, media, entertainment, the arts, and international trade. This city is officially classified as an Alpha-World City, otherwise known as a Global City and is regarded as “the place to be”. Its affluent residents have class and taste, and they expect the highest degree of personal service. Pavillion has been servicing clients in the South Florida area for decades. With a growing demand for our services, we proudly opened Pavillion Agency’s Miami Beach office in 2012! Having a presence in this fast growing metropolis, helps us better serve our clientele from Miami down to Key West and up to Palm Beach! We have developed a strong following among the higher echelon of personal service professionals throughout Florida, enabling us to fulfill the demands of our esteemed customers. What sets Pavillion apart? We are a one-stop shop for household staffing solutions. Our agency offers job placement services (permanent, temporary, or temp-to-perm), payroll processing, benefits consultation, and in-home staff training. Let us show you the Pavillion Agency difference!